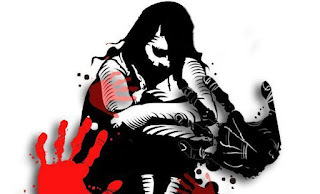 New Delhi: You might have heard about the cases of women molestation, but in a shocking incident, a man has been sexually assaulted by two girls in New Delhi on Tuesday night. Two girls in the national capital Delhi have been charged under for sexually assaulting an auto-driver. The auto driver broke his both legs as he jumped off the window from the first floor in order to save his life. One of the accused females has been arrested by the police while the other is absconding. This entire incident happened on Tuesday night when one the accused female took the auto from IGNOU road to hail towards Safdarjung area of Delhi. While reaching Saket, the girl then asked for Rs 300 from the auto-driver for buying some item. According to the auto-driver, at around 12:30 am in the night, the girl then called him to her flat in order to pay him the charges for the ride. She then locked the door from inside and started drinking alcohol and also forced him to have few drinks. After some time, her friend from Tanzania also joined in and they both started molesting him.